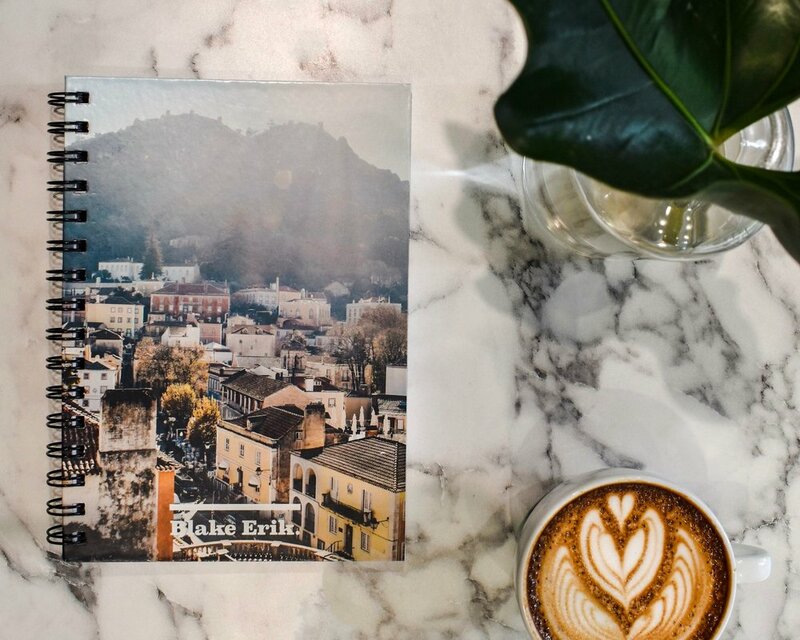 Travel Guide: Best Neighbourhoods to Stay in Lisbon — Blake Erik. Just like how I did for Barcelona, my trip to Lisbon took me around all the neighbourhoods in the city, and in a city as buzzed about as Lisbon, it's no surprise that Portugal's capital is facing a tourism boom, and plenty of expats have also decided to call the sunny city home. This is a short guide to the neighbourhoods of Lisbon, and I'll be breaking down some of their characteristics so you can choose which neighbourhood is the best for you. I have a different guide, the Ultimate Guide to Lisbon, where I've also broken an itinerary down into neighbourhoods similar to this, but that goes in-depth with what you can do and see, and where to eat. This is more focused on the actual districts themselves with pros and cons of each. Read: The Ultimate Guide to Lisbon — A Complete Itinerary here! Alfama is Lisbon's oldest district and is traditionally also the Moorish quarter. It's a place to get lost in, as the winding cobblestoned streets are a labyrinth to get lost in. The great thing about Alfama is that it features some truly fantastic hole in the wall taverns, tucked away in these little side streets and are massively popular with locals. Some of my favourites include Restaurante Zé dos Cornos and Restaurante Zé da Mouraria. Truthfully, with Google Maps though, these places aren't that difficult to find anymore, and they're not exactly local secrets these days, so you might have to find yourself nabbing a reservation if you're in Lisbon when the city's busy. The architecture here is exactly how you'd picture characteristic old buildings in Portugal to be like, albeit with many walls painted over with street art. It was pretty quiet when I was there last Christmas, so this is an area more for those looking for a little peace away from downtown. If you're looking for a charming hilltop experience, here's where you'll find it. Many charming local taverns are situated here, so you're never too far away from good food. Some famous attractions can be found here too, including Castelo de São Jorge. It might be pretty easy to get lost in, which is part of the fun, but it's not difficult to lose your way. If anyone in the gang has mobility issues, this hilltop district might be a little challenging as inclines and declines can get pretty steep (and are pretty much unending). If the heart of the tourist action is where you want to be, the posh districts of Baixa and Chiado are where you want to be. Beyond that, you'll never have to fear for lack of accommodation as a tourist, as many hotels dot this district. Many of the city's monuments can be found here, including Carmo Convent, Rua Augusta Arch and Praça do Comércio. This area is bustling in every sense of the word, as commuters pour out of the metros everyday, and you'll be in the main shopping belts, which are also home to upmarket restaurants and bars. This is where you want to be if you're looking for a night out too. The heart of the fun in Lisbon. Plenty of accommodation options can be found here. It's a central and important transportation hub, especially at Praça do Comércio. This is not the place to be for a peaceful retreat. As it's a heavily touristed area, kitschy restaurants that aren't very good have their attendants at the door to invite you in— which I've always found annoying. Good food will have to be sought out, as there are equally meh restaurants as there are world-class dining options here. This area has received a massive rejuvenation and is now a hotspot for bars and fantastic restaurants, including some of my favourite joints in the city. It's also the start point of your journeys onwards towards Belém, Cascais and even Cabo da Roca, so this is massively convenient for many travellers as these are popular day trips away from Lisbon's city centre. Likewise, for expats looking to escape the hustle of the city every now and then, escaping to the beautiful Estoril Coast might be the most convenient from here. But honestly, my favourite part about Cais do Sodre was the sheer amount of great places to eat, including Pistola y Corazon Taqueria and the Time Out Market, Mercado Ribeira. A solid option that combines the best of Alfama (classic architecture with winding streets), and downtown Rossio / Baixa-Chiado (great food, a bustling atmosphere). Convenient for many travellers looking to explore Lisbon's surroundings. Plenty of amenities including pharmacies, boutique shops, supermarkets etc. In the middle of winter, Cais do Sodre metro and train station had a lot of foot traffic, I can only imagine what it must be like in the summer. The closer you get to the train station, the less beautiful and "classic" Lisbon it gets. The iconic riverside district of Belém is home to some of Lisbon's unmissable monuments, due to its historic importance as the starting point for many of Portugal's famous discoverers including Vasco da Gama. Here, cultural attractions are aplenty, and many of the city's best cultural experiences can be found in the form of museums, monasteries and towers, including Mosteiros dos Jerónimos, Torre de Belém and Museu Nacional dos Coches. Of course, you can't mention Belém without bringing up the iconic Pastéis de Belém, which they say to this day is still the best tasting custard tarts out there that have been exported into many Portuguese overseas colonies. I tried this and a couple others in different bakeries around, and this genuinely did taste the best to me. For those looking for a cultural immersion, this is where you want to be. It's impossible to cover every single monument and museum here in a day, so being based here might actually be beneficial. You'll enjoy fantastic views of the river if you have accommodation here with a balcony / out of a window. It takes around 20 minutes to 30 minutes to travel from downtown Lisbon to Belém, so if you see yourself spending a lot more time downtown for work or sightseeing, this might prove to be a little out of the way once you've properly explored Belém, which I think a rough 2 days is enough to cover most that's worth seeing. It feels almost like a small town in itself, which I feel like would limit you to spending a little too much time in Belém, but the call's yours. This neighbourhood is situated about 25 minutes left of Lisbon's city centre by public transport, and is even further out compared to Belém, but it has to be mentioned for LXFactory. LXFactory is an industrial site which historically used to produce textiles, cotton, soaps etc., and has been turned into a venue with many restaurants, local boutiques, pubs and discotheques. I included it in my list of coolest things to do in Lisbon, because I loved the vibe here. The energy was awesome, and a large part of it had to do with the fact LXFactory naturally attracts a crowd that's younger or young at heart, creative, and looking for a good time. Not to mention the rooftop bar at Rio Maravilha, a gastropub within the compounds popular with locals and students. LXFactory is one of my favourite places in all of Lisbon, and made the trek out here completely worth it. Outside of LXFactory, there's not much that can be found here to see or do, so it might not be the most convenient base, again, if you see yourself spending most of your time in the city. Because it's situated further away from the city centre, the party culture here is more happening, as there's more freedom with noise limitations and restrictions as compared to downtown. Of course, there are more neighbourhoods in Lisbon than these few, but this covers quite a wide area, and are most likely to be of the most interest to a traveller, expat or student, as these are the more bustling areas.